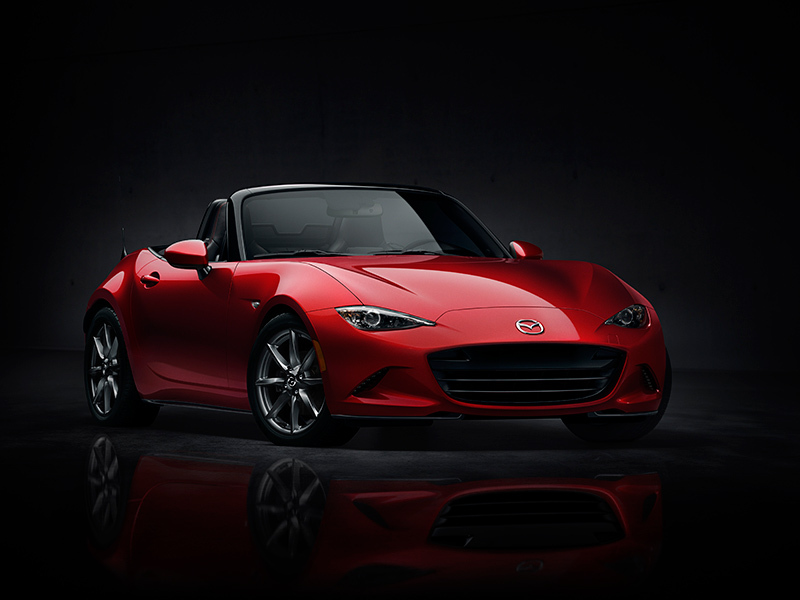 The only thing better than the all-new 2016 Mazda MX-5 Miata is a personalized 2016 Mazda MX-5 Miata. Today at the Chicago Auto Show, where the first-generation MX-5 Miata was introduced to the world in 1989, Mazda revealed an MX-5 accessories design concept of the next-generation roadster that will hit showrooms this summer. Aero Kit (Front Air Dam, Side Sill Extensions, Rear Bumper Skirt and Rear Lip Spoiler): The gloss-black Aero Kit is the same package found on the 2016 MX-5 Global Cup Car that debuted at SEMA in November. 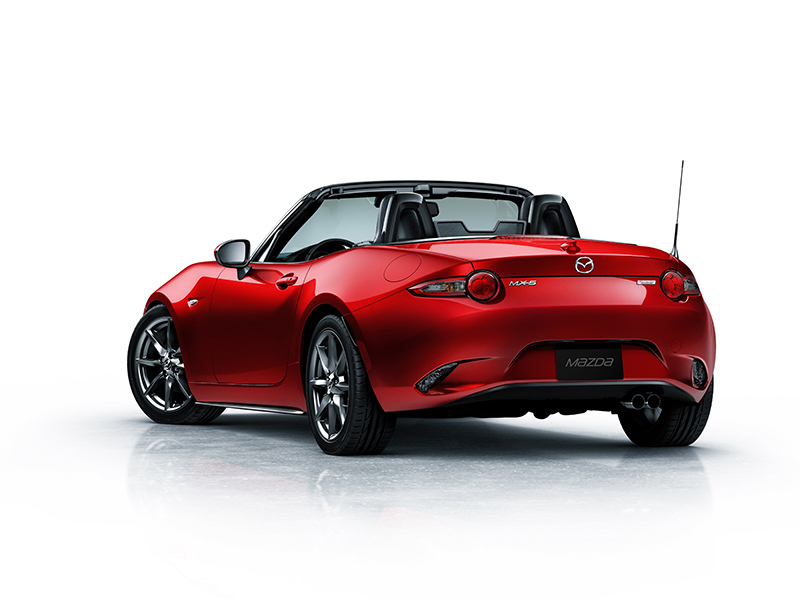 Brembo Brakes: Lightweight Brembo front brakes adorn the MX-5 as well as red brake calipers behind all four wheels. BBS Wheels: The forged black BBS wheels are sized 17x7J 45mm offset, wrapped in 205/45R17 tires. Luggage Rack: The stylish luggage rack is made of carbon fiber and weighs less than two pounds. The luggage rack mounts to the trunk and includes an integrated Center High Mount Stop Lamp (CHMSL). The 2016 MX-5 has evolved to meet the needs of today’s customers, yet it retains the pure fun-to-drive nature of its predecessors, whether cruising on the highway or the racetrack. 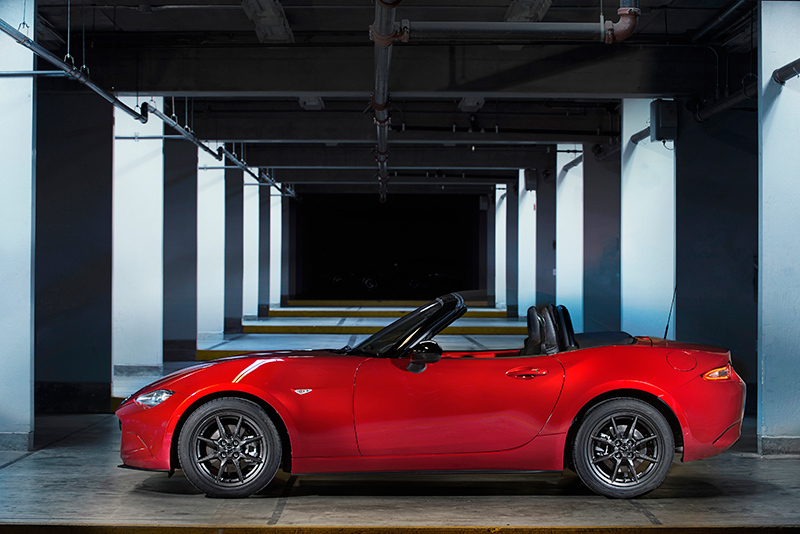 With the new roadster, Mazda’s engineers sought to capture the essence of the beloved first-generation MX-5 Miata, reducing overall length of the 2016 model by 4.1 inches to make it about the same size of the original. Engineers also reduced the MX-5’s weight by about 150 pounds versus the outgoing car, lightening and strengthening even the smallest parts. Power for U.S.-bound MX-5s comes from Mazda’s 2.0-liter SKYACTIV-G inline four-cylinder engine, producing 155 horsepower and 148 lb-ft of torque. Both a SKYACTIV-MT six-speed manual and a six-speed automatic transmission will be available.